My feasting seemed to have gotten better and better with each meal. My weekend ended with a White Truffle dinner at my elder sister's place. She voluntarily arranged and prepared for us a White Truffle dinner, fully sponsored by my youngest sister. I'm truly counting my blessings for having many good friends, and a wonderful family! If a huge family like us were to dine out ordering white truffle meal, it could easily cost us half a thousand dollars! My sister bought a 38g White Truffle from Culina, costing $247 ($6,500/kg). Myself, being pretty ignorant about truffles, was pleasantly pleased to have a feel of the truffle and smell it! It was odd shaped and looked very ugly. My sister took 45mins to clean this precious thing. It had to be wrapped up in papers, and had to keep out of water. The moment it touched water, it will rot. So she wrapped it up, placed it in a container and put it in the chiller before using it. 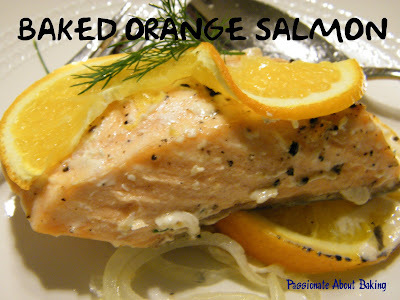 The dinner started with Salad and Baked Orange Salmon as appetisers. There were two kinds of salad. 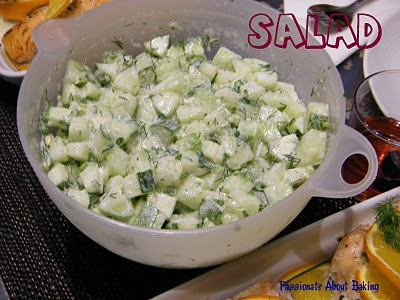 I missed out the other salad. Then came the highlight of the day - Classic White Truffle Pasta. This was how she prepared the pasta. She cooked the fettuccine in boiling water before mixing with unsalted butter and fresh grounded black pepper. It was then scooped into our plates. 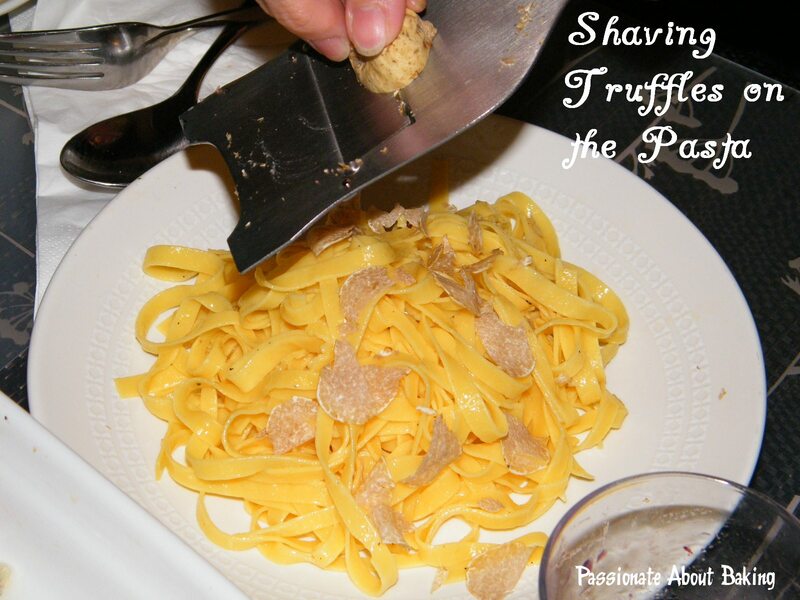 Over each plates, she used a truffle shaver to shave the white truffles. After that, we added in freshly grated Parmigiano-Reggiano cheese. For once, we got ourselves a generous shavings of white truffles on our pasta, unlike if we were to dine in restaurants. Finally, the meal was completed with my Dark Chocolate Truffles. We thought the Chocolate truffles would compliment the white truffles. 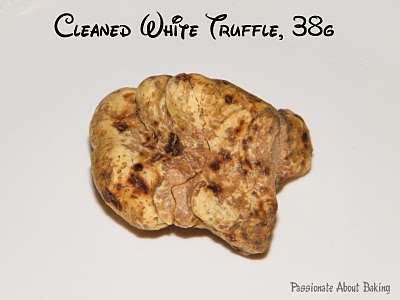 Come to think of it, the my chocolate truffles do have odd shapes that looked like the white truffles! Much effort has been put in to conceptualise this meal. 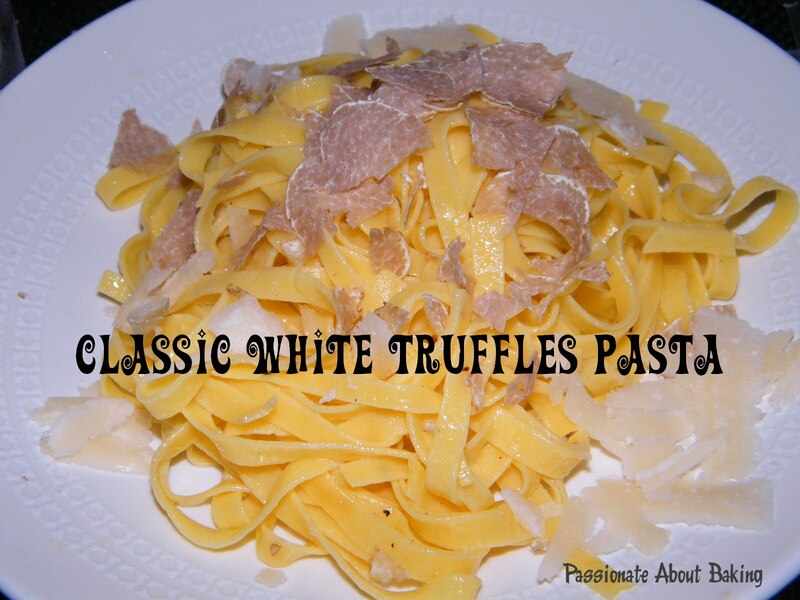 Even if I had the white truffles on hand, I won't known how to prepare it. Thanks all to my elder sister for taking the time and effort to let us experience fine dining food. And also thanks to my youngest sister for sponsoring this wonderful meal and her generosity! Information on Truffles. I was told black truffles can be cultivated while white truffles can only be grown from the wild. You can find out more by reading from here. 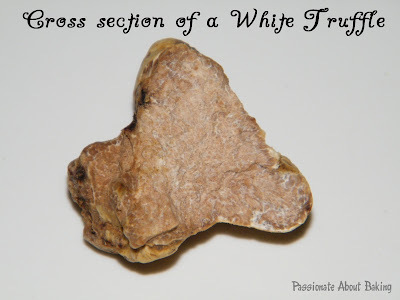 I also found a write-up by Chef Jocelyn on her blog on White Truffle. Recipe for Chocolate Truffles, (I can't remember where I got this from). 1. Put chocolate into a large heatproof bowl. Bring cream just to a boil in a small saucepan over medium-high heat. 2. Pour over chocolate in the bowl. Let it stand for 5 mins. Then stir till smooth. 3. Pour chocolate mixture into a shallow dish pan. Cover with plastic wrap and refrigerate until mixture is cold and set but still pilable, about 30mins. 4. Using a teaspoon or a 1/2 inch melon baller, scoop balls of chocolate mixture, transferring them to a baking sheet lined with parchment paper as you work. 5. 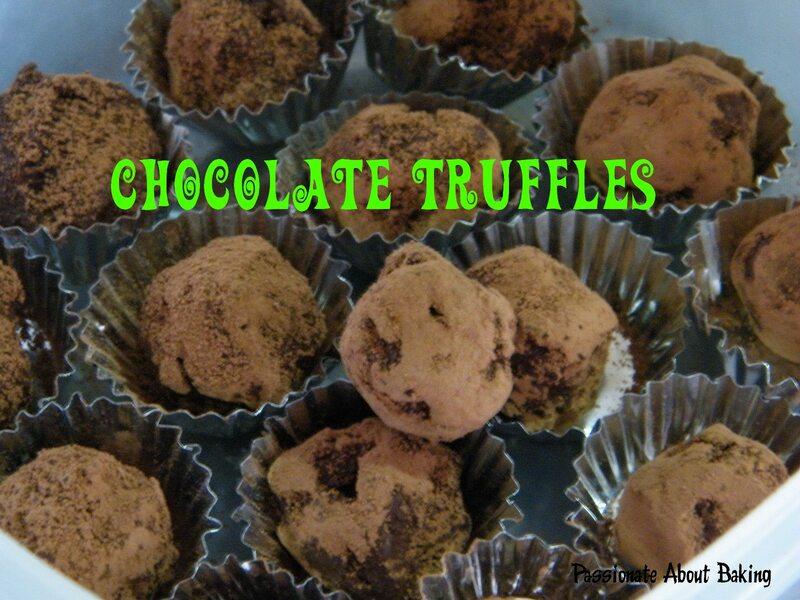 Refrigerate truffles for about 10mins. 6. Using a sieve, dust each truffle in cocoa powder to coat, then quickly shape truffle into a rough round. 7. Refrigerate truffles in an airtight container until ready to serve, up to 2 weeks. Before serving, reshape into rounds, and roll each truffle in cocoa powder, if desired. ~ You can add in one tablespoon liquer to your preference. I omitted this as my family don't like liquer. Wow,Jo, looks like your whole family is really passionate about food! 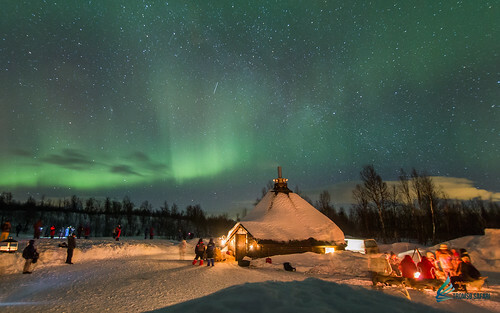 This looks really fun! I personally like the pasta dish. 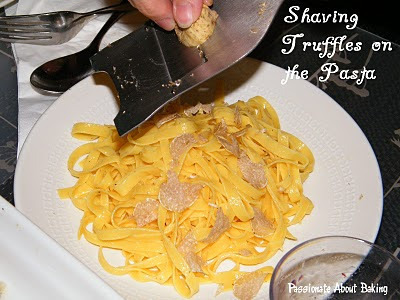 My favorite and safest way of using the truffles have always been with pasta and eggs :). You've just reminded me thatbi still have some black truffles in the freezer! Gee Jane! You're on a eating spree! Oh Wow! Truffles, they cost a bomb! Lucky you! Only truffles can lured you here! Hahaha... Just kidding. Aw, you still have black truffles in the freezer! How nice. Next time, I'll ask my sister to make black truffles. After being introduced the truffles, I also realised that pasta and eggs will bring out the flavour of truffles! It's wasn't all planned! It all just came together! LOL! Yes, I'm very lucky! Ya, I realised my chocolate truffles were as ugly as the real ones! Hahaha... Yes, you must try the truffles, they are truly very precious and good! lucky you!! i've never tasted a truffle (the white one haha) before in my life :P more expensive than gold! Thanks Jean. You should try someday, maybe. This was pretty provided that there are a lot of out there just waiting for the right..